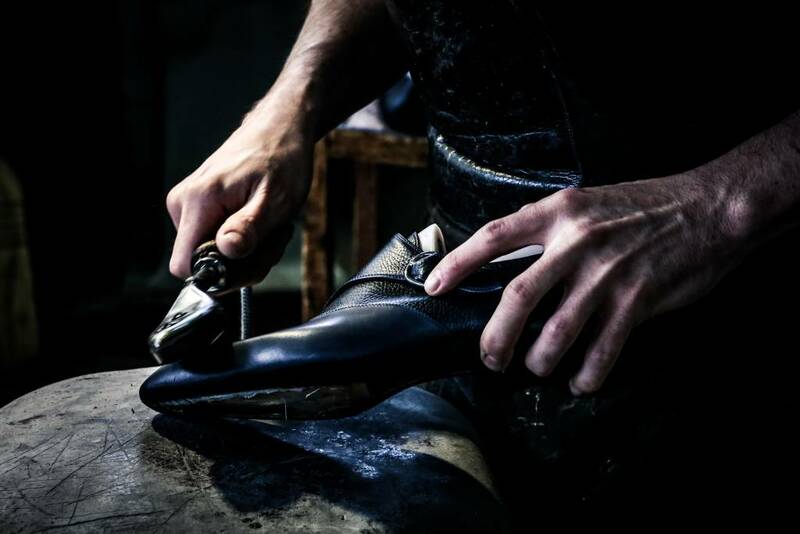 Artioli brand was conceived in 1912: Severino Artioli was an apprentice in a small crafting shop, one of the most famous shops crafting shoes of the city of Ferrara. Still today his secrets are a fundamental key to our work and they support our whole production. Shoes shouldn’t just be pretty, they should be comfortable to wear and they must give a cer-tain image of the person wearing them. For this reason, Artioli brand is the first choice of people like Heads of States and international movie stars. We started our work more than a hundred years ago and since then we have been careful and precise in each step of our production. Every detail and every finishing touch are important and represent the Artioli brand throughout the world..
More than a 200 operation process (Our production process requires more than 200 steps) to realize the Artioli brand. Our shoes must be perfect in every aspect. Severino Artioli passed down to us his 200 step process and later Masters Vito and Andrea Artioli kept elaborating Severino’s knowledge and adapting it to a more modern concept today. 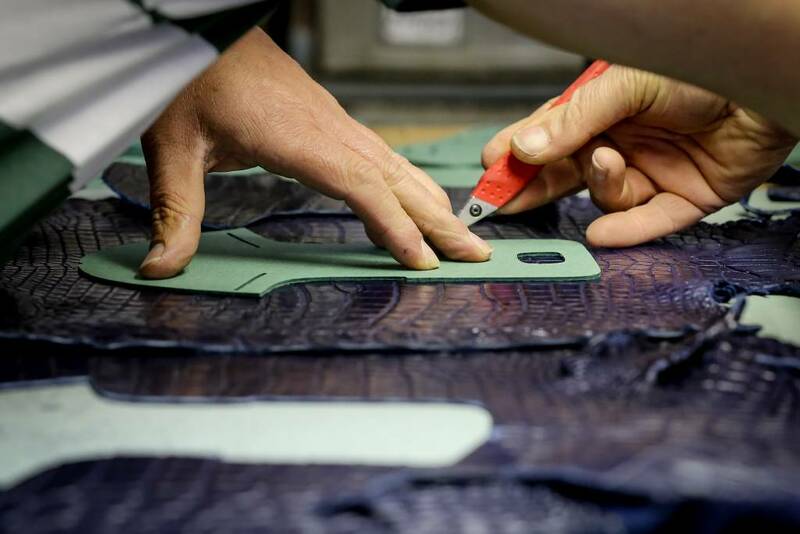 Knowledge and experience are fundamental for the realization of our products. Our custo-mers refer to the Artioli products as little masterpieces, like sculptures to be worn on your feet with elegance and class. Nowadays many companies decide to change their production methods to lower cost and adapt to a drier (poorer) market. They exploit new technologies to increase production. At Artioli we believe that knowledge passed on to new generations is the only way to obtain a the best product, that can be qualitatively perfected through new technologies. We will always work hard in this direction in order to maintain our traditional style and keep the main feature of Artioli. 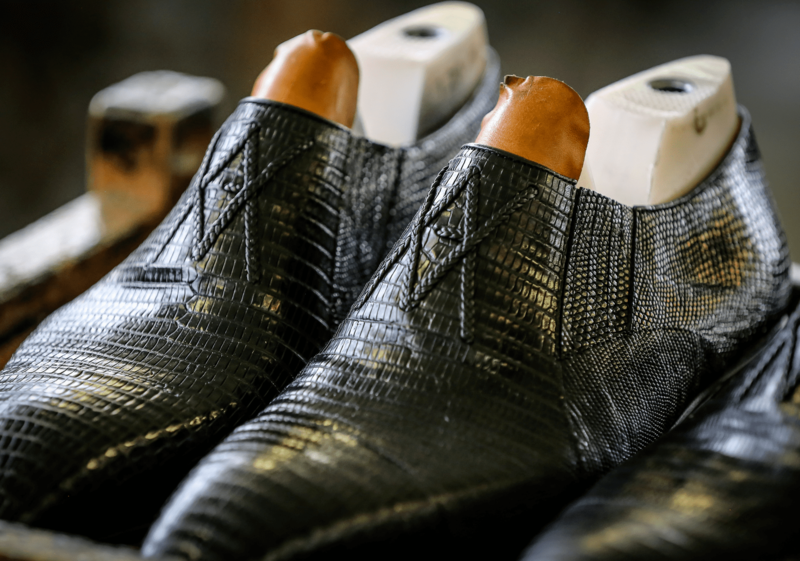 The quality of the leather, the 100% natural material and our hundred year old production method give you the comfort you look for in a shoe while providing a breathing sensation to your feet. Thanks to the advice of our artisans and expert insights, we can sell unique products that stand out as unique from most others. In this way we can keep our standards high and at the same time we make our customers happy. Browse our catalog to find out more about your perfect shoes.